Our team has won the Grand Champion (Tie) of PAKDD-2007 data mining competition. The data mining task is to score credit card customers of a consumer finance company according to the likelihood that customers take up the home loans offered by the company. This report presents our solution for this business problem. 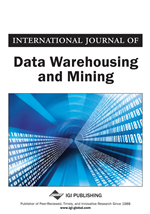 TreeNet and logistic regression are the data mining algorithms used in this project. The final score is based on the cross-algorithm ensemble of two within-algorithm ensembles of TreeNet and logistic regression. Finally, some discussions from our solution are presented.